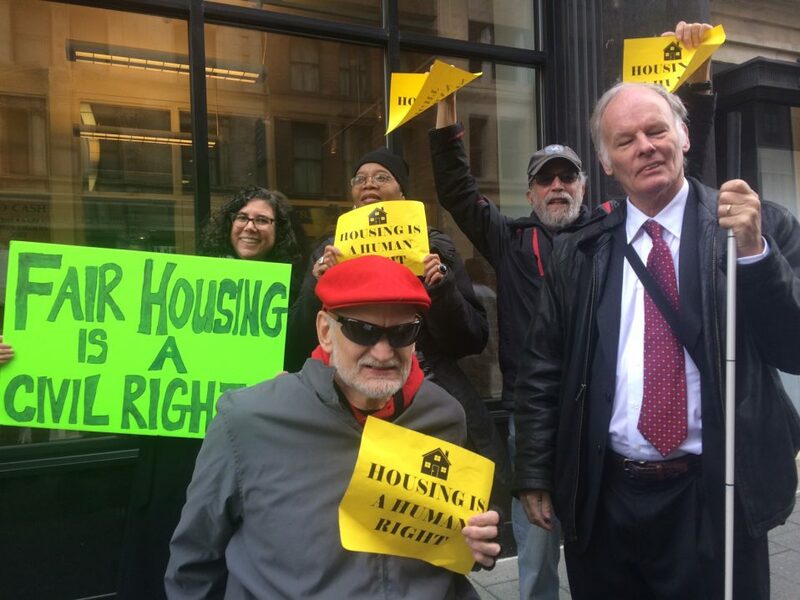 Baltimore, MD, April 12, 2019 – Baltimore City housing advocates are pleased to announce that Acting Mayor Bernard C. “Jack” Young will be signing CB 18-0308 “Community Relations – Housing Discrimination – Source of Income” into law today at 10:30AM. CB 18-0308 prohibits discrimination in housing based on Source of Income (SOI) with exceptions as described below. Through the excellent work of the bill Sponsor Council member Dorsey, the Baltimore City Branch of the NAACP, a myriad of Baltimore City housing advocacy groups and the support of Council members Burnette, Clarke, Cohen and Sneed, Baltimore is now joining the over 75 jurisdictions from across the country that have enacted laws protecting tenants from SOI discrimination. The bill’s passage is a strong first step in combating SOI discrimination in Baltimore City and places renewed pressure on neighboring jurisdictions and the state government to enact SOI protections of their own. Although landlords and property managers of some developments are already prohibited from discriminating against prospective tenants based on their SOI under Baltimore’s 2007 Inclusionary Housing law, CB 18-0308, expands such protections to a greater number of renters across the city. “Source of Income”, as defined in the bill, constitute any lawful source of income from employment, government or private assistance, as well as alimony, child support, inheritance or gifts. Under the new law, landlords may still deny housing to an individual based on other non-discriminatory factors such as rental history or criminal record, but a prospective tenant can no longer be turned away because of the type of income they are using to pay rent. An exception is for individuals utilizing the Housing Choice Voucher (HCV) Program. Refusing to accept tenants using a HCV is the most common and pervasive forms of SOI discrimination. Under the bill’s language, a landlord would still be able to discriminate against a HCV holder where 20% of a property’s units are already rented to voucher holders. This 20% rule would lapse after four years should the City Council not act to extend it. SOI discrimination predominately affects some of our city’s most vulnerable residents by locking them out of areas with better employment opportunities and quality of life. As Tisha Guthrie, a fitness professional and social worker who experienced SOI discrimination first hand wrote earlier this year in a Baltimore Sun op-ed: “This form of discrimination is insidious. It hurts veterans, severely rent-burdened families trying to get on their feet, persons with disabilities and elderly people. It also contributes to and exacerbates homelessness.” Doing away with such a practice is one of the first steps in addressing the legacy of redlining red lining and housing discrimination that shaped our city in the last one hundred years. Baltimore advocates applaud Acting Mayor Young’s decision to quickly sign CB 18-0308 into law and eagerly look forward to working with him and the entire Baltimore City government to ensure that these new protections are enforced strongly and equitably and to prevent any erosion of the underlying protections the bill puts in place.